Legends forward Cory Jefferson will be joining the San Antonio Spurs for the NBA’s Utah Summer League. The Killeen native was selected by the Spurs in the second round of the 2014 NBA Draft but traded to the Brooklyn Nets on draft day. This will be Jefferson’s fifth summer to appear in Summer League games, having spent last summer with the Spurs as well. Jefferson played four seasons at Baylor, earning All-Big 12 honors, and has 58 games of NBA experience under his belt between the Nets and Phoenix Suns. Jefferson joined the Legends for 11 games last season, averaging 12.6 points, 5.4 rebounds. The Spurs tipoff tonight against the Utah Jazz at 8:00pm CT. For more info on Summer League or the full schedule, visit NBA.com/SummerLeague. 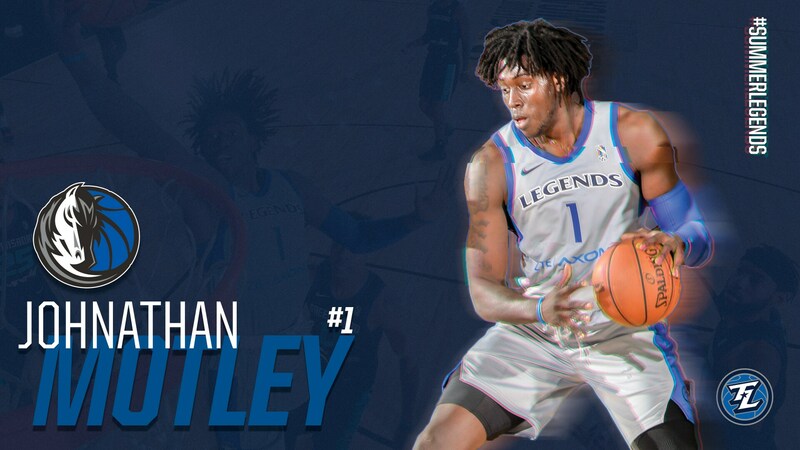 Johnathan Motley, Mavs/Legends’ two-way player, will join the Mavericks in Las Vegas for Summer League. The sophomore forward saw action in 11 games with the Mavericks last season and 34 with the Legends where he averaged 22.2 points, 9.8 rebounds, and 2.0 assists earning NBA G League Player of the Month in January, Midseason honors, and All-G League 2nd Team as a rookie. 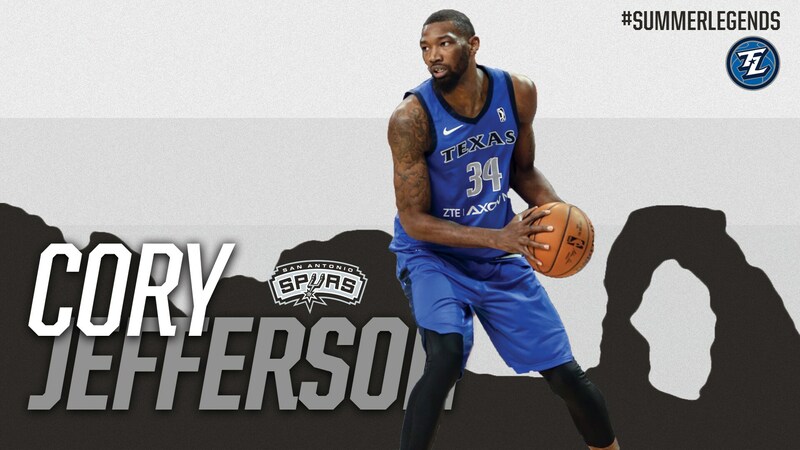 Motley played three seasons with the Baylor Bears (missing Legends teammate Cory Jefferson by a year) where he earned All-American and All-Big 12 honors and won the Karl Malone Award for the top collegiate power forward. After going undrafted, Motley signed a Two-Way contract with the Mavericks and made his first appearance with the team in last year’s Orlando Summer League. Jalen Jones, the Mavericks’ second Two-Way player, will also join the team in Vegas. The Dallas native enters his third season as a pro and third appearance in the Vegas tournament. Jones played two seasons at Texas A&M after transferring from SMU and earned All-SEC honors both years. After signing a two-way contract with Dallas in January, Jones saw action in 12 games with the Mavericks and 21 with the Legends. 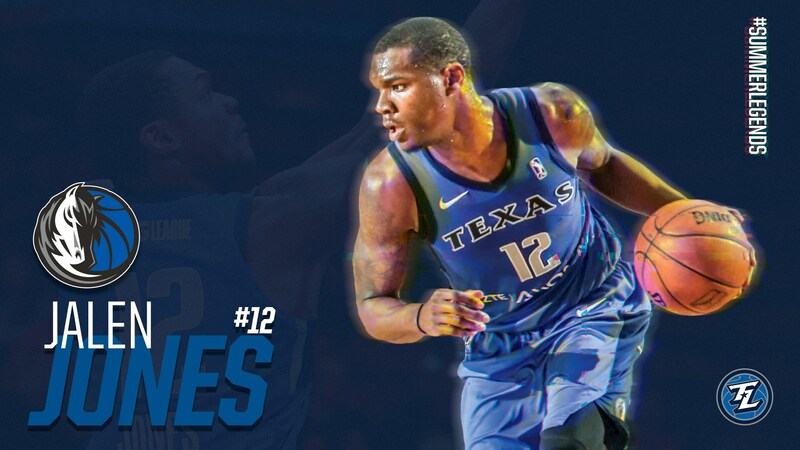 In his time with Texas, Jones averaged 19.1 points, 6.8 rebounds, and 2.1 assists and helped lead the team to the winningest season in franchise history and a playoff appearance. Jones, Motley, and the Mavs will make their Vegas debut Friday at 8:30CT. Keep a close eye on this page to track all the Legends at NBA Summer League.